This entry was posted on December 23, 2014 at 4:07 am and is filed under Action, Adventure, Fantasy with tags 2014. You can follow any responses to this entry through the RSS 2.0 feed. You can leave a response, or trackback from your own site. Pretty much. Skip it unless you really enjoyed the other two. Good review Mark. The trilogy is finally over and while I’m not too sad about it, I am happy that it went out on a good note. If only I think so. I think people get caught up in the woderous eye candy that Jackson creates. I wasn’t crazy about The Hobbit – hated the so called comic relief of the trolls. As for Smaug – I felt is was bolated, overstuffed – too long with too little of a reward. So, I think you are telling us that you didn’t mcu care for the length nor the paper thin plot. And overstuffed applies once more. But I’ll gather it will still make money enough to smooth over Jackson’s responses to the critics that stood on the side of the opposition. Fortunately, I f I go in the morning I can withhold something from the box office returns. I gather you saw the standard 2D, as you mentioned nothing about the Imax or 3D. Great catch on the Oz/Glinda business. I had to go out of my way, but I avoided 3D and HFR showings. It looked great. Peter Jackson has perfected Middle-earth style down to a science. This seems poised to ultimately do about $270 million which would be an improvement over The Desolation of Smaug. After seeing this long kinda boring kinda exciting final film, I watched the “The Hobbit” cartoon. It was nice to see the whole movie in under 2 hours. I wish they’d given us 1 really good 2 hour movie. 3 stars. If you can believe it, that Rankin/Basss cartoon was made for TV NBC first aired it in 1977. I love it so much more than this. “Tedious bore” are words I’ve frequently heard to describe the final chapter of The Hobbit. Thankfully it screened on nights when I had class, so I didn’t suffer through it. I’m not surprised to hear it’s not very good, since I wasn’t a fan of part two. I think we were all pretty skeptical whether there was enough narrative for a third chapter, and apparently that was for good reason. 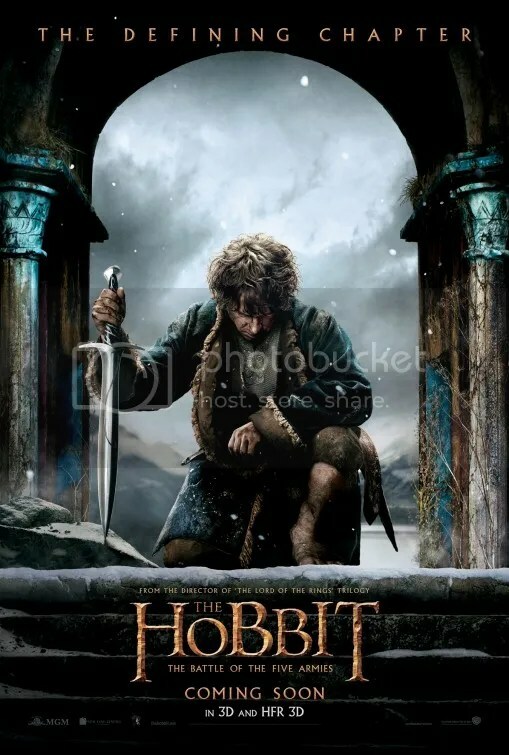 Saw it today….. Have to say it IS padding, which is sad given the effort and chunk of his life peter jackson has given to tolkein….. For me it descends into animated farce where the white orcs become even bigger and badder acting out straight-to-playstation battle sequences and dialogue is at a premium…. Consists of little more than “da!” Whenever Bard sees one of his kids being chased by an orc and gandalf lamenting the stubborness of elves, dwarves and everyone else…..